Children Are Holding A Flower Growing In The Ground. Close-up Of Kids Hands And A Growing Flower. Green Generation Together. Green Planet Earth, Ecology, Family Caring For Plants Concept. Lizenzfreie Fotos, Bilder Und Stock Fotografie. Image 99884483. 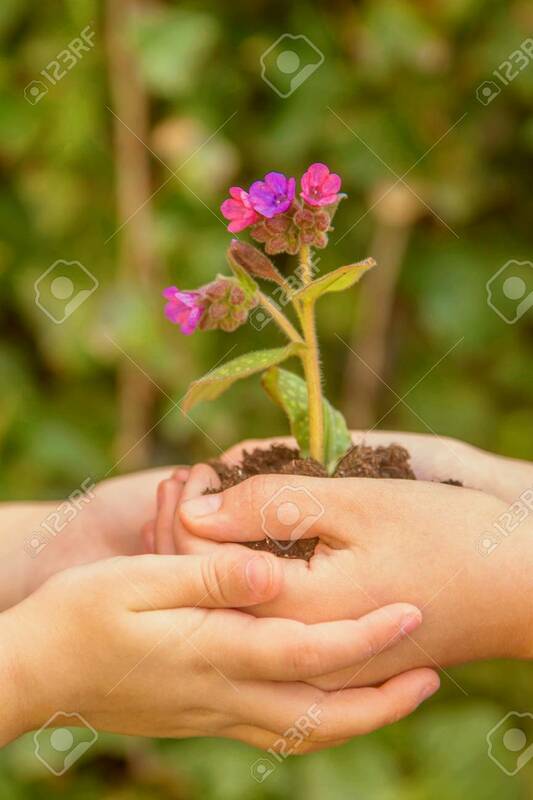 Standard-Bild - Children are holding a flower growing in the ground. Close-up of kids hands and a growing flower. Green generation together. Green planet Earth, ecology, family caring for plants concept. Children are holding a flower growing in the ground. Close-up of kids hands and a growing flower. Green generation together. Green planet Earth, ecology, family caring for plants concept.